Heat water until it’s warm, but not hot. Thoroughly mix in salt. Gargle. Repeat 3 throughout the day as needed. Any more than that and you risk drying out healthy soft tissue and making things worse. The next time you feel your throat starting to get painful, use any of the above as soon as possible. In the middle of the worst sore throat you’ve ever had, drinking tea probably won’t feel like much in comparison to the effect of over-the counter pain medication, but home remedies can stop it before it has much chance to get worse. While there is no miracle cure, natural home remedies have also been shown to shorten the duration of cold and flu symptoms (ahem, sore throat) and lessen the severity of the symptoms throughout the time you’re ill. When taking a more natural route for treatment, you’re body feels better than when you’re taking OTC drugs (even if you don’t feel it right away) and a healthy body means a healthy recovery. This is a really great list! I did not know about a lot of these. 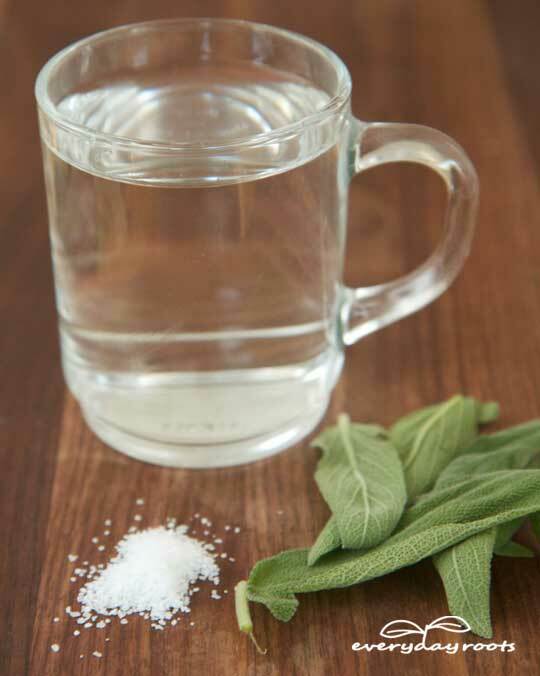 I have been using the simple salt water gargle for years and it works like a charm every time! It is also great for canker sores. Drys them right up. I also really want to try the baking soda tea. Has anyone had good results with it? Hopefully it doesn’t taste too bad. Im in so much pain but reading all the cool remedies makes me feel like I have hope lol! I just made my boyfriend hit the grocery store thank u soo much! I found a receipe for sore throat that my family has used for the past 10years. You will need: 1c. Water, 1/2 c. Apple cider vinegar, 1/4 teaspoon cayenne pepper, 1 tablespoon of salt, honey to taste (I use1/4 cup),and 3 to 5 ginger crystals (you can find these at an Asian food market). Bring to boil vinegar, water, salt, & pepper then let simmer for 1 to 2 minutes. Strain water mixture, then add honey and ginger crystals. Let cool a little. 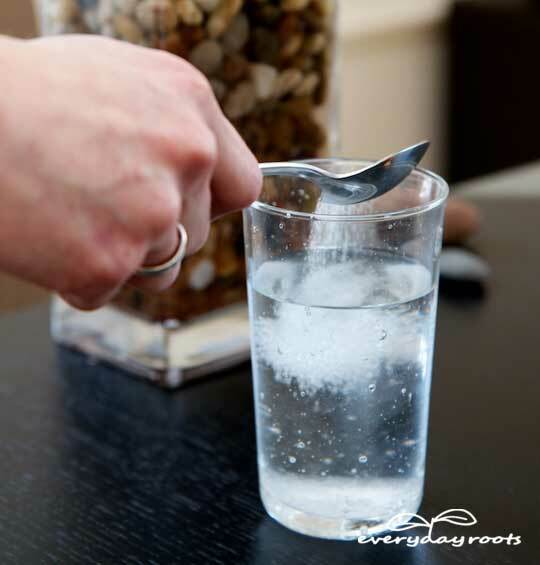 Gargle with 1 to 2 tablespoons before swallowing or spitting out. We swallow. Do again as needed. Hope this works for you. ACV must have the mother in it to be effective. Braggs is a good brand. 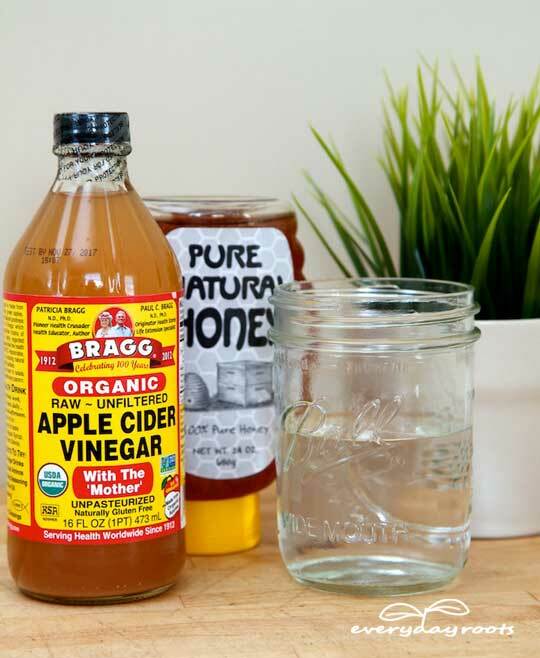 ACV can be mixed with honey as a syrup, very soothing for the throat. Is mixing ACV with baking soda or lemon mix them together and wait till the fizzing stops before adding other ingredients. Then use. i actually think milk works great for sore throats no matter whats causing it., i’ve heard that it makes you make more mucus but haven’t experienced that ever. I use to avoid milk when I had a cold, but now I like to drink it especially if I have a runny nose. I notice that the milk does create more mucus, but it is thicker mucus so it prevents it from running down my face like a faucet, lol! I haven’t tried it (or payed attention to it) with a sore throat, but I’ll have to give it a try next time. How about a section on sleep aids and help with insomnia? 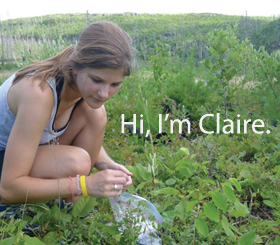 My wife Rosita finds that Red Clover Tincture helps with sleep. Equal parts of honey and apple cider vinegar added to warm water will not only cure a sore throat it has antibacterial properties and gives your body the same nutrients as a multivitamin in natural form. I think I like this site. An orange slice with adition to the peel will also work. Garlic works well if you bite i it will burn the first time I tried garlic I was surprised it was hot like pepper. Cured my throat. I would caution anyone using baking soda to use caution a little is good too much can change Ph of blood which can be very bad in some cases. Thanks for all the tips!! Nice to know, when needed. Like this site. Using a microwave is not a good idea because it alters molecular structure of food molecules, An interesting experiment is to take two healthy plant.s of same variety Microwave some water and bring to room temperature. Water one plan with tap water. Water the other with the See how long it takes the one that was watered with microwaved water to die. I no longer use a microwave to cook or heat food on a regular basis because of this response the plans have to microwaved water. Actually, this myth was not only busted, but the opposite was proven. MythBusters did an experiment identical to the one you suggested, and the microwave-watered plants not only survived, they thrived and outgrew the other plants. Reading this brought such a smile to my face in this time of throat agony. Well done! You can’t just alter the molecular structure of water that easily. Water, or H2O is an oxygen connected to two hydrogens. This is hydrogen bonding (one of strongest possible), meaning it takes a MASSIVE amount of energy to rearrange the system. What microwaves do is that they make the molecules of water vibrate. This vibration is what we call “heat”. The molecules have more energy, and the measured temperature rises. If it was breaking hydrogen bonds, you’d know it, because your microwave would blow up. Grapefruit Seed Extract-wish I found this sooner! Great for cleaning and orally good for antiseptic and more. Tea-tree oil for cleaning the house and disinfeecting things…I had a mold problem in the house and this helps greatly. Also gotta love hydrogen peroxide and warm gargles! Excellent list! I’ve seen lots of these, but I love how you gathered them in one place. I’ve tried many of them, peroxide being my fave! Great info! 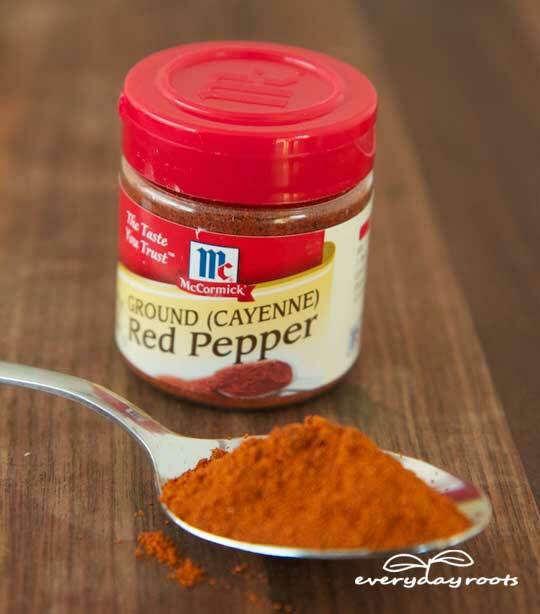 Cayenne peppper and honey did the trick for me. I suffered for over 2 weeks with tonsillitis. Throat spray is so nasty and out of desperation, I tried it. Burns just for a minute or two, but WOW!!! what a relief!!! Added lemon juice. Was a life saver. Much better now, Thank you for sharing. Chamomile tea is great and I can feel it working! 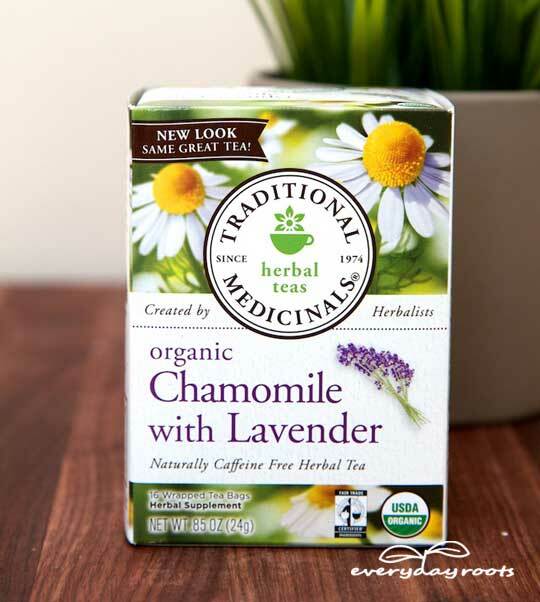 I used twinings nightly calm chamomile and mint love it! i combined 3 juiced lemons, 1 crushed garlic glove and half a teaspoon if salt. im drinking it right now !!!!!!!! Number 3 is also great for gout. Just though I would throw that in there. Hey guys,i have this big problem please help! I always spit this mucus from my mouth i think its coming from my throat does this list use for that? PLEASE HELP ME! I have a really sore throat and I feel like I’m coming down with a virus or cold. My mom is making me a smoothie. Many people think that only hot drinks sooth a sore throat! I’ve found that cold drinks wot too! My mom is including: almond butter, almond milk, flax seed (healthy), frozen blueberries, banana, and spinich. Many kids don’t prefer spinich. However, you can’t taste the spinich. Also, the flax seed is tasteless! Give it a try! Your doctor knows best. Tonsillitis can often be treated with antibiotics, but sometimes surgery is necessary. Home remedies will often work as a substitute to antibiotic remedies, but they will NOT help with tonsillitis requiring surgery. 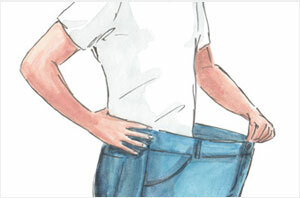 Love the fact that this article explains not only what works, but WHY it works. Thanks mucho for those explanations, had read about several of these natural remedies before, and have tried them too. Much better results than anything over the counter, particularly apple cider vinegar. I think the only one I have not tried yet is the baking soda, wondering how to take that, like mix it with what? 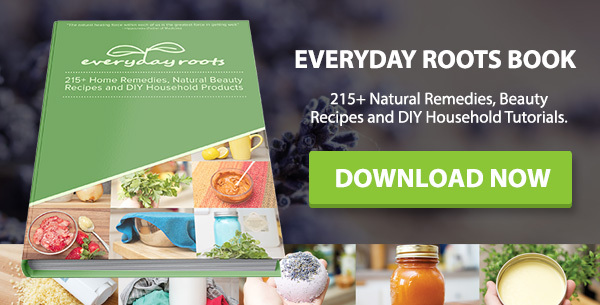 I had never seen such clear explanations about why it is that these remedies work, very helpful to know. This one is a keeper. Thanks. you forgot to mention mollasses tea. 1 tsp per cup very warm water. sip or drink it down. 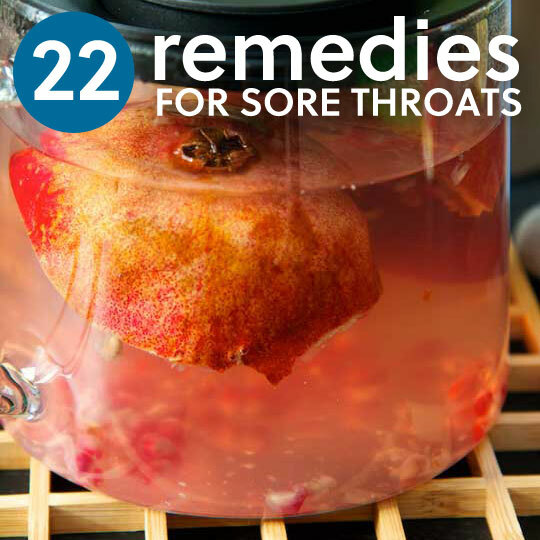 soothes the throat and helps to also give one a bit more energy. I made a yarrow ( Achillea millefolium) tincture, that i spray in my mouth when I have a sore throat. Just 3 puffs 2-3times a day seems to do me just fine. Yarrow because it’s got so many good properties and it grows abundantly here. Tincture is made with dried herb (leaves and flowers) on vodka. Just fill your jar, stuff it well, pour vodka over it. Leave in the sun for a good month (shake regularly, make sure that all the parts are covered with the alcohol) … when the herbs look drained, strain the liquid (cheesecloth, or sth like that), keep your tincture in dark glass bottles or jars, and store dark and cool. I drink a pure ACV drink for sore throat. You mentioned garlic, but I better avoid this for stink smell. was scrolling thru kinda quickly, and though Gargle Sage said Garage Sale, boy was I excited. I thought the same thing! Glad I’m not the only one. I just so happen to have Honeysuckle growing a couple yards from my house, I went outside and did as told. 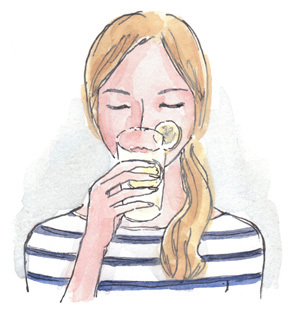 After it was finished I added a tablespoon of honey and everybody in the house enjoyed it immensely; the pain form my sore throat (mucus) was relieved more and more after every sip. Thank you! 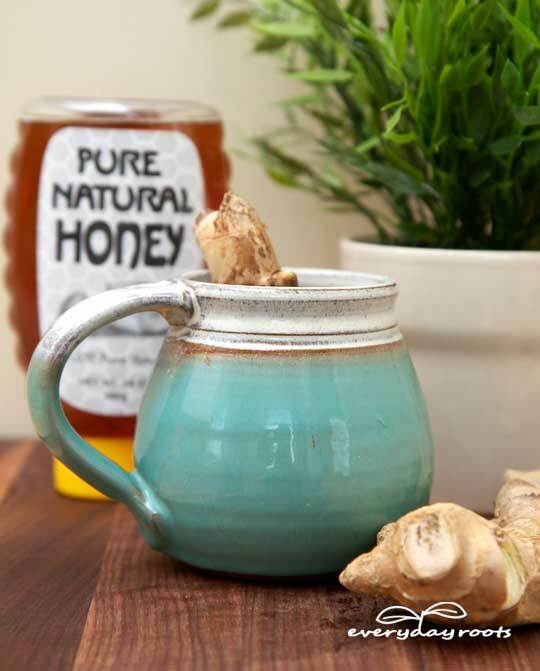 If you don’t have complicated ingredients or you just don’t have the time to make ginger root tea or chamomile or whatever, just try a few spoonfuls of honey. 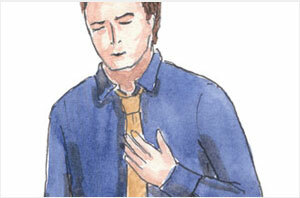 It gives instant relief, and feels like a coat of sweet protection in your throat. I’m having some right now. 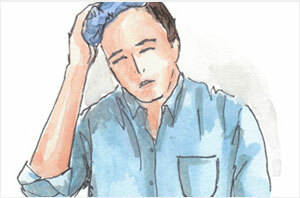 I started getting the common cold symptoms. This morning I had no voice. 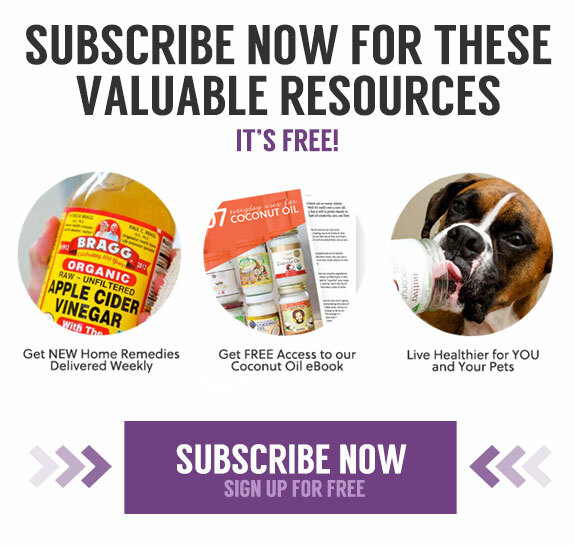 I had really bad laryngitis, I found an article on 22 natural ways of alleviating the sore throat symptoms. So, I made a tea of fresh sage leaves, fresh mint leaves, fresh ginger, freshly ground peppercorns. I started sipping on the tea, which by the way, was very delicious, and not even five minutes passed when I was finally able to hear my voice again. I absolutely had to share this. I did #10 minus the tea and added the cinnamon and it really seemed to give me some comfort. Thank you so much for this information it just kinda fell into my lap. I’ve been sick for about 2 weeks with a nasty sore throat and no voice. Here it is 2 am and I finally got some ideas on how to make my sore throat bearable without leaving the house and not spending any money. Had a lot of these things in my home. Thank you again. The hot milk and the Chamomile Tea worked like a charm on me! Now I feel so much better! Great list! I don’t have ACV, but I did have kombucha, which was nice and fizzy for breaking up the mucus. Hydrogen peroxide is abrasive to the tissues that are already swollen in the mouth, according to my ear nose and throat doctor. 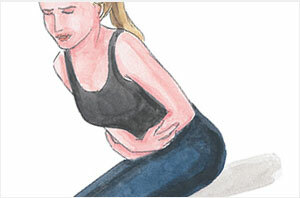 If someone is suffering with engulfed tonsils they should not try hydrogen peroxide. My ear nose and throat doctor actually told me to rinse with a salt/hydrogen peroxide for my throat. Who to believe? Just did the ACV, honey, and warm water about an hour ago. I was very pleasantly surprised, although the taste was a little salad dressing-ish the relief was pretty immediate and seems to be lasting. It really didn’t help a lot but I will try another method to if that works. Could you list the Latin name of the honeysuckle you are recommending? 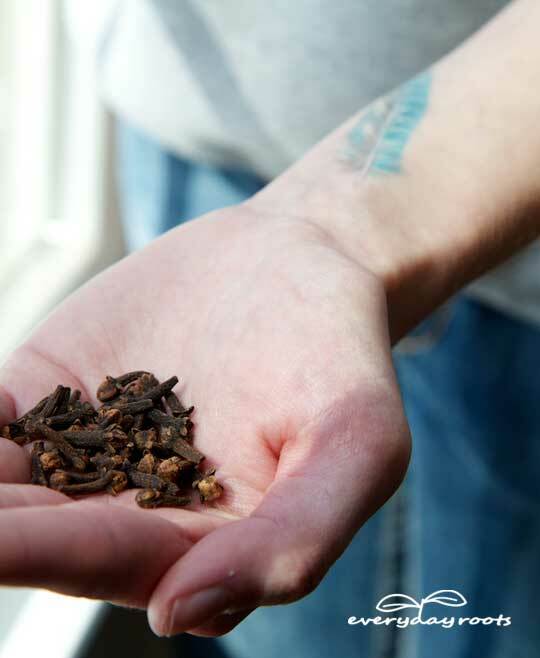 If using a Traditional Chinese Medicine, it could be from China, or are you talking about a local Wild Honeysuckle? There are many varieties, and a wildflower called honeysuckle that grows here in Minnesota is actually not honeysuckle, while the ‘real’ honeysuckle in my area are tall bushes, several different ones, and I’ve been told that the fruit is poisonous. It wouldn’t be a good thing for someone to go pick a poisonous honeysuckle and use it. Gargling with Aloe Vera Juice works well I have found, but it needs to be done at least 2-3 times per day until the soreness dissipates. 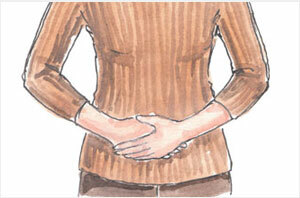 For the first few times, best to spit the juice out, helping to clear the mucous that has been forming there. Then, when you can feel the soreness lessen, you can drink the Aloe Vera juice and it helps to internally flush the system. Be sure to get the Aloe Vera juice WITHOUT sweeteners. Trader Joe’s sells a gallon of organic AVJ for $8.00. thanks for these great ideas, sucking on garlic and drinking crushed ginger in warm tea helped. Ohh, I am dying of sore throat! You can’t believe how painful and disgusting it is, My god! Hi, can I believe these tips? i am gonna try NOW. I don’t know if they work…let’s see. I love this website, you structured everything beautifully. The remedies really work and i thank you for sharing.. have a good day! 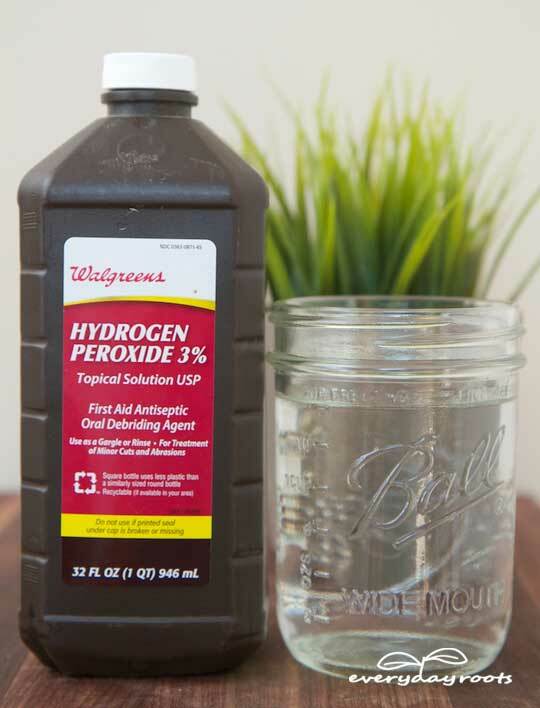 NEVER GARGLE WITH 3 PERCENT HYDROGEN PEROXIDE. H202 is NOT INTENDED FOR USE WITH WOUNDS. Most recent studies agree that it does more damage to tissues than good and it does NOT kill off bacteria efficiently. Also, when using hydrogen peroxide near the mouth you’re supposed to cut it 50% to make it 1.5% instead of the typical 3% because there are fewer layers of skin around your lips and in your mouth. Do not trust lists that aren’t accompanied by credentials. This is going to sound Whackadoodle (that’s just the Kentuckian in me…), but pickle juice – straight out of a jar of pickles in your fridge – helps a sore throat. I always gargle with warm salt water, then follow it up with a little pickle juice. Or fill a mug of luke warm water and 3 table spoons of honey stir it around and drink with a straw!!! I did just drink milk and I feel a lot better. I know milk isn’t a option but it worked. I tried the ginger, lemon, cayenne pepper with honey, I garbled with peroxide, garbled with warm salt water but what really took away the pain was the garlic cut in half. I couldn’t believe the relief I had. Still hurts but feels better. Thank you for the remedies. Suffering from what I believe is either flu or strep. Have a doctors appt tomorrow but in the mean while have done the peroxide and salt gargles. Seemed to help a bit, however I just concocted a hybrid tea from the tips above. 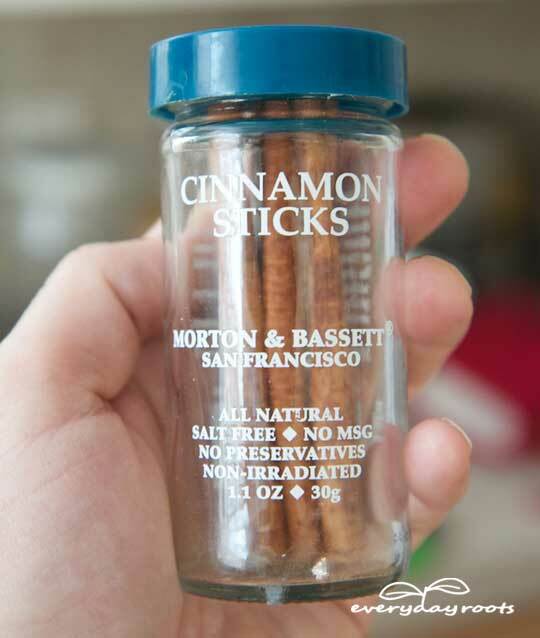 1 Tablespoon ACV, 1 Teaspoon cayenne, 2 Teaspoons of cinnamon, with a dash of sugar, (no honey handy) with hot water. Tastes yummy and has done wonders for the soreness and pain! Amazing tips, love this post! Perhaps not all natural, but very small sips of 100 proof peppermint schnapps works wonders on a sore throat. It stings at first, but 9 times out of 10 it cures the sore throat. I suspect it wipes out the bacteria exacerbating the sore throat and allows it to heal quickly, much like they use to clean out wounds with alcohol (ouch!). Thx for these remedies i did baking soda and warm water it seems to be breaking down my sore throat. I can’t swallow easily. I have gone a few days without worrying about it but now all my hope is lost. It is hard to sleep but when I do, it doesn’t help. I just wake up and it is worse. Going to the doctor today. I have tried some of these remedies and only the milk helped a little bit. I really hope I don’t have the flu or anything. I use peroxide as a gargle straight. Usually takes care of my swelling tonsils in a day. Tastes like a wet gym sock, but it is so worth it. These are all helpful and great, Many moons ago my Grandma used the peroxide gargle as last resort but 1st choice was always to gargle with a full bodied dry red wine and then you could also swallow it down! after repeating this a few times your throat felt much better and you were soon fast asleep! Mmmm…….. now it all makes sense. No honestly this one works well even if you don’t swallow the wine. Second choice was to gargle with Worcestershire sauce which was effective but a bit vile on taste. My sister told me this a while back that it`s good to have warm drinks like warm milk so, I made warm milk and added a bit of sugar to it and it work pretty well, so you can also it do this with any warm fluid like chocolate milk it helps really good, but I recommend using milk than any other fluid because milk is a soft but a bit thick type drink that can soothe the throat better than water or juice. I use hot water ACV lemon juice, fresh or concentrated, shot of ACV and a sprinkle of cayenne pepper on top. I drink about 3-5 cups as needed throughout the day. Make a paste of a few cloves of garlic and a few slices of ginger and eat about 1/4 to one half teaspoonful (with a bit of honey if you want to lessen the tingle). 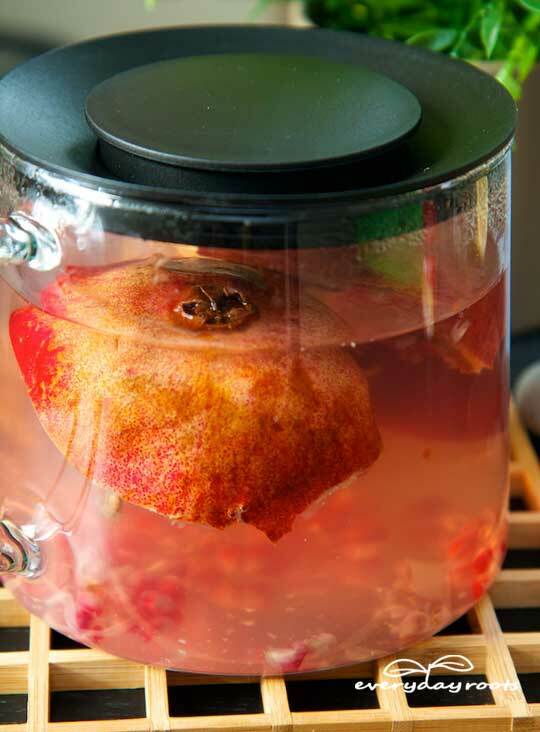 Follow that with a class of warm water, apple cider or hot tea of choice. It’s not foe every taste (and not for kids), but it really soothes a raw throat up quite nicely. 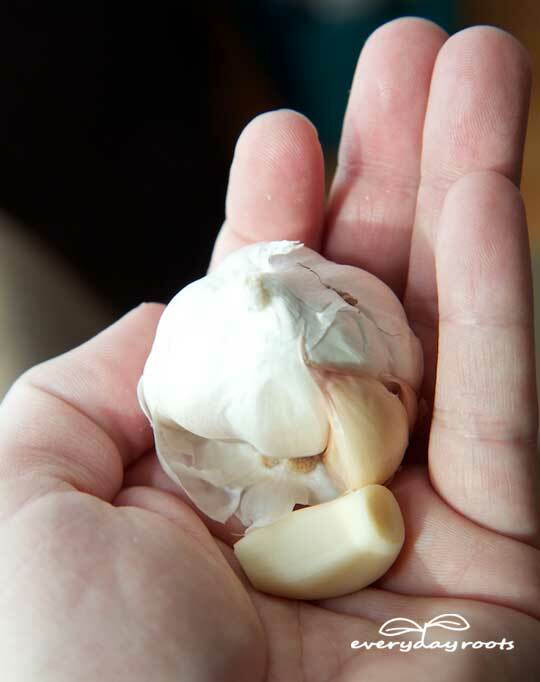 If you don’t feel up to that chopping and cutting, buy some garlic/ginger paste at a market that sells cooking ingredients from India. Making it is going to be healthier, as some of the commercial pastes tend to have preservatives in them. Ok, it’s not quite curing cancer but by combining some of the tips on this site I made a drug-free cure for sore throats. I had tonsillitis, couldn’t swallow without my eyes leaking tears and as I’m pregnant I’m not allowed most over the counter stuff so decided to brew my own potions. I’ve called it ‘heaven and hell’, because first you make a mix of hot water, cayenne pepper, salt, bicarbonate of soda, garlic and cider vinegar (use the quantities in the tips above X as many doses as you need to make, I chose a X10 for everything in 500ml of hot water). You gargle with this every hour until you’re fixed (was 8 hours in my case). After putting yourself through this trauma (tastes like the devil’s armpit) you get to sip a mixture of honey, lemon, ginger and pomegranate juice (delish) to take the taste away and do further fixing of the throat. Normally I wake up feeling like death when I have tonsillitis, but after just a few hours of dosing myself like this yesterday I woke up this morning ever so slightly croaky but no pain, no swelling, all the pus bits gone (sorry overshare) – it’s amazing!! 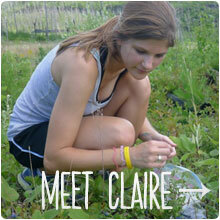 Thank you Claire and everydayroots.com for the inspiration. I’ll definitely think natural before OTC/prescription meds next time I’m suffering. Such a great list! I got sick a few days ago and I am now suffering from a sore throat. I also, unfortunately, lost my voice last night. All day I’ve been trying to figure out ways to get rid of my cough and cold altogether (and also regain my voice), then my mom remembered the old ginger trick. My mom uses ginger for sore throats as well, except she just makes me chew it around slowly (it is spicy after all). As mentioned here, it helps clear the airways and help thin out the mucus. The taste is not really that good, but it is tolerable. Just thought I’d share that. A lot of these suggestions sound good, but I’m wondering which one works the best and the fastest? Hooray! So glad they helped! Another thing that works really well is just sucking on a piece of ginger. I tried it and it works straight away. 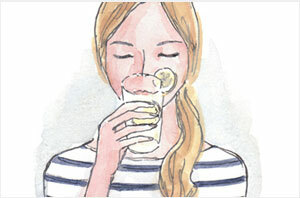 I swear by the ACV treatment – it works wonders for sore throats or when I feel myself getting “chesty”. I love this post! I’m really prone to sore throats and have a hard time finding anything that works for me, but most of these do! Thank you! 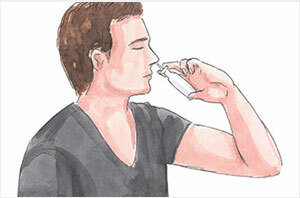 Peroxide tastes yucky, but it is good for your body. I want to use the garlic sucking method. 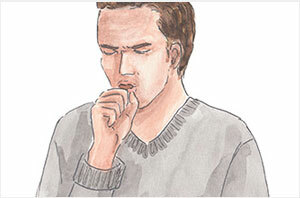 I had a sore throat for 4 years, and I tried everything my parents said. I found that simple boiled water + lemon & honey worked well. I woke up at 4 in the morning with the worst sore throat. I could barely breathe without it hurting. I made myself a chamomile tea with a cinnamon stick in it and a couple of cloves. Also some honey. It tastes amazing and I feel better! Thank you for posting this! Apple cider vinegar works so well!! Absolutely love this post I actually took warm water & salt, Hydrogen peroxide, apple cider Vinegar and Baking soda and combined all into one and gargled together and it really worked well For me and was cured every single time.